To browse and use the services of TVbet.co.uk you must be at least 18 years of age. You acknowledge that TVbet cannot be held responsible for the content of any sites we have external links to. 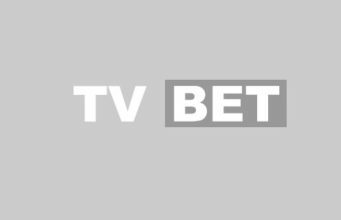 TVbet own the copyright to all content published within our site, and must not be copied or reproduced for any other purpose without prior permission. We reserve the right to amend out terms and conditions at any time, without prior notice to you. We work very hard to ensure that all of our content is accurate and correct, but cannot be held responsible for the accuracy of this information. We cannot be held responsible for any errors or misinformation that may appear on our site. TVbet is a completely free betting information service and there are absolutely no fees or payment associated with using our site. TVbet adheres to the Data Protection Act of 1968 (in relation to the use of your information and all other data protection laws), guaranteeing that we will never pass on any personal details to third parties. Any information held by us will only ever be used by ourselves directly to contact subscribers of our newsletter or our competitions. You are able to unsubscribe to the TVbet newsletter at any time by simply clicking the unsubscribe button at the bottom of your email. Your information will then be completely erased from our database and no further contact will be entered into. The team at TVbet.co.uk are committed to protecting our users right to privacy. If there are any questions regarding our terms, you may contact us here.